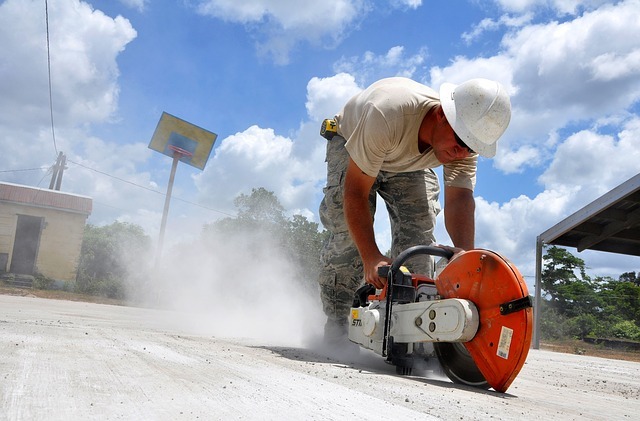 With over twenty years of serving the Carlton community with concrete cutting services, MegaSaw has carved out a reputation for being a leader and the to-go-to enterprise when in need of concrete cutting solutions. Our vast hands-on experience in both commercial and residential concrete cutting makes us your best option for your concrete cutting projects. We are experienced and have specialised in providing customised commercial and residential concrete cutting Carlton services in the field of concrete cutting and grinding. However, having been in the concrete cutting business for a long time, we understand that specialisation neither guarantees nor translates to providing high quality services. It takes concerted efforts to stay abreast of the leading technologies and techniques to achieve this. In this regard, we strive to use the latest and the best concrete cutting technologies available, with the aim of providing our clients with unbeatable concrete cutting solutions. The combination of high-quality cutting equipment and our vast experience ensures that we can offer concrete cutting Carlton services in a myriad of conditions and environments, meeting our clients’ needs and wants in a fast, efficient and timely manner. We also appreciate that our clients need not only high-quality workmanship but also affordable, safe and environmentally friendly services. With this in mind, we strive to provide affordable service whilst still ensuring the quality and reliability. With regard to safety, we use industry standard safety procedures to guide our endeavours. Additionally, having been in the business for as long as we have, we understand how to operate a site safely. We strive to protect our environment and leave as little impact as possible. To this end, we recycle and reuse as much as possible and take precaution to reduce pollution that may arise from our activities.